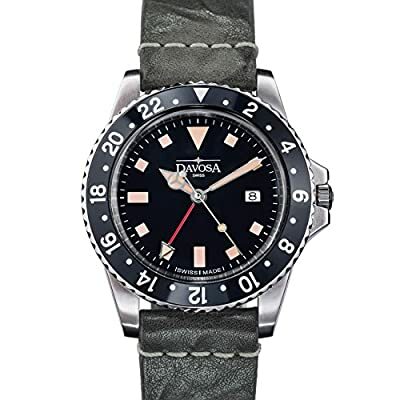 This timepiece is a tribute to the early times of professional diving watches with many historical references: the egg-shaped 10 ATM water resistant case, the typically curved crystal, printed Super-LumiNova indices and a bezel inlay made of aluminum. The Vintage Diver Quartz is a stylish everyday watch for all retro style lovers and, with its diameter of 39 mm, perfect for every wrist. 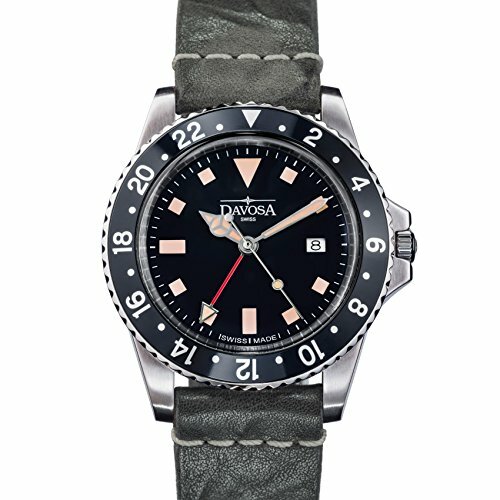 The Swiss quality movement Ronda 505/24h also allows the display of a second time zone which is highlighted by a red hand.